These two princesses are having a movie night at home and they would appreciate it if you could join them. 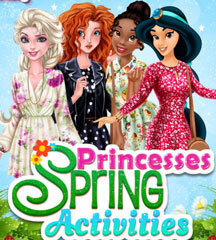 If you love princess games, don’t miss out on all the fun! These girls can’t wait to play their favorite film! But first, they need to make sure everything is perfect. They want to decorate the room with lights and pillows. They also need to set the table and prepare some snacks. 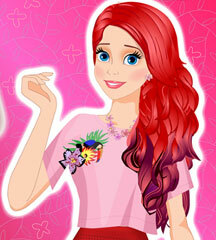 After that, the princesses want to dress in some comfy clothes. 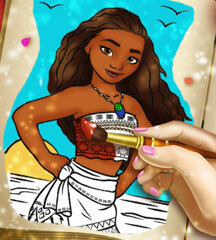 Start with the cute blonde and choose an outfit for her. 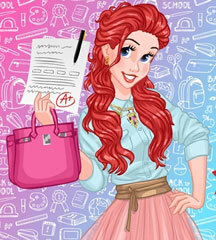 Then, you can try your fashion ideas with the sweet redhead. 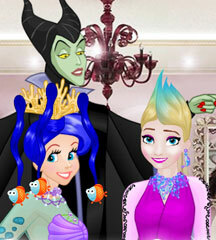 Make sure both princesses look amazing and feel super comfy! When you’re done, these two girls will be ready for a relaxing night at home.